With the rise of e-commerce businesses globally, it is really getting more difficult to stay ahead of the competitors. 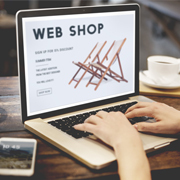 So, it is important to do some things better and differently as compared to other players to attract more customers to your e-commerce website. e-commerce data entry is one such thing and is one of the main aspects of building and maintaining an e-commerce website. The product information must be accurate and should be updated on a regular basis and this burden increases every time your business expands. As there will be numerous categories and sub-categories in the product listings, it can get difficult to keep up with thousands of changes on a regular basis. Therefore, it is always advisable to outsource product data entry services to a third-party service provider for a hassle-free experience. Service providers help e-commerce companies to address their biggest challenge of keeping the product information updated at all times. India is one of the most preferred destinations by global players to outsource product data entry services. This is one of the most obvious benefits of product data entry outsourcing to India. In India, skilled resources are available at a much lesser price cost as compared to other countries or even compared to what you pay for your in-house team of product data entry experts. India is a large pool of talented and highly skilled professionals in the product data entry industry. With higher application knowledge index in the country, Indian outsourcing companies have sufficient skilled resources to provide quick and accurate services to global clients. Indian IT experts are well-versed with all the e-commerce related terminologies and popular shopping carts such as Magento, X-Cart, Zen Cart, Open Cart, etc. Having worked with leading e-commerce giants, such as Amazon, eBay, etc., product data entry specialists in India can provide unmatched services when it comes to data entry accuracy and quality. 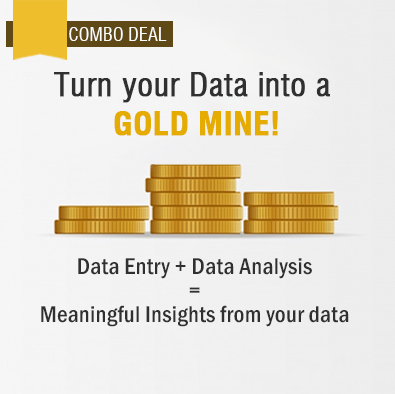 The e-commerce data entry task is a cumbersome and time-consuming task which needs attention to details and involves knowledge-based application at all times. By outsourcing to India, clients can get 100% accuracy as there are experienced product data entry specialists who will be working on your requirement. While doing product data entry processes internally, there is a possibility that you will be stuck with some or the other kind of a problem related to management of product inventory, customer support, etc. However, outsourcing your requirements to an external service provider can give you access to quality service during and after the project. By outsourcing your product data entry requirements to a third-party service provider, the company will have more time and resources to concentrate on their core activities. This in turn will help in improving cost savings and focus on generating better revenue. Another key advantage of outsourcing is that it provides the company to easily scale-up or down the project based on business requirements without any hassle. The service providers here can provide more number of resources for more work or even reduce them as required by the client when the project ramps down. Outsourcing service providers in India these days ensure that all the critical product data you share with them are completely safe. There are designated teams which take care of all the legal formalities including the signing of non-disclosure agreements, while providing product data entry services. Keeping the customers happy through your multiple channels can be a very cumbersome task and can be a serious loss to the business if not managed in the correct manner. Outsourcing product data entry services can help you manage all the channels effectively and keep the customers satisfied at all times. Handling e-commerce product data can be a painful task at times with the products being placed into different categories and sub-categories. As there are highly experienced resources working on the product data, they will have enough knowledge on how to handle it in the most efficient and effective manner, ensuring better data management. Outsource2india has been providing quality data management services and a host of other data entry services to global clients. We have a total experience of about 20 years in this domain and understand that e-commerce product data entry is a crucial part of any e-commerce business. Therefore, we ensure high data entry quality that precisely caters to the requirements of global clients. Our satisfied customers who come back for more make us stay on our toes to serve you better. We also understand the importance of maintaining stringent data entry security and ensure that your data remains safe with us. Our skilled data entry specialists put in constant and dedicated efforts to complete your project within short turnaround time at highly affordable rates. If you have made up your mind to outsource product data entry to India, then just get in touch with us now.